‘Tropical’— instantly you think of relaxing ocean breezes, turquoise waters, swaying palm trees, sandy beaches and lush jungles. It’s no wonder, then, that settings like these make for amazing destination weddings. Dreaming of saying “I do” somewhere beachy and exotic? We’ve gathered some spectacular tropical locations and options for you. 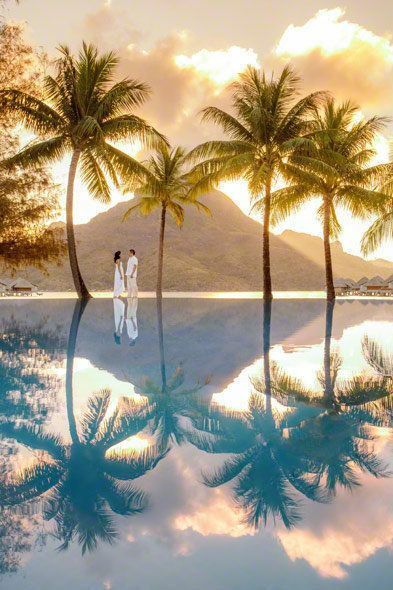 Perfect for couples wanting to limit travel time, there are plenty of gorgeous Asian islands just north of Australia. 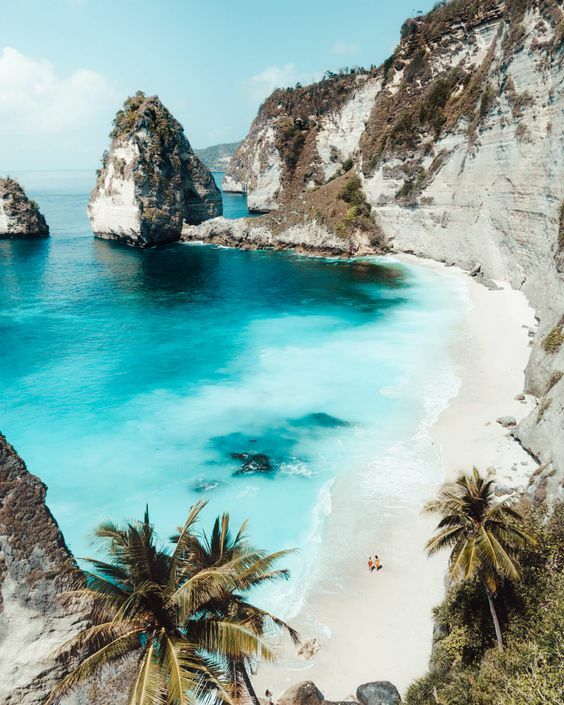 Boasting heavenly scenery and their own unique character, destinations like Bali and Langkawi are definitely worth adding to your wish list. Bali has always been a favourite for honeymoons, but many couples are deciding also celebrate their special day there. It’s not hard to see why. With stunning beaches, verdant rainforests, incredible venues and super-friendly locals, there’s plenty to love about this cherished destination. Looking for something a little less well-known? 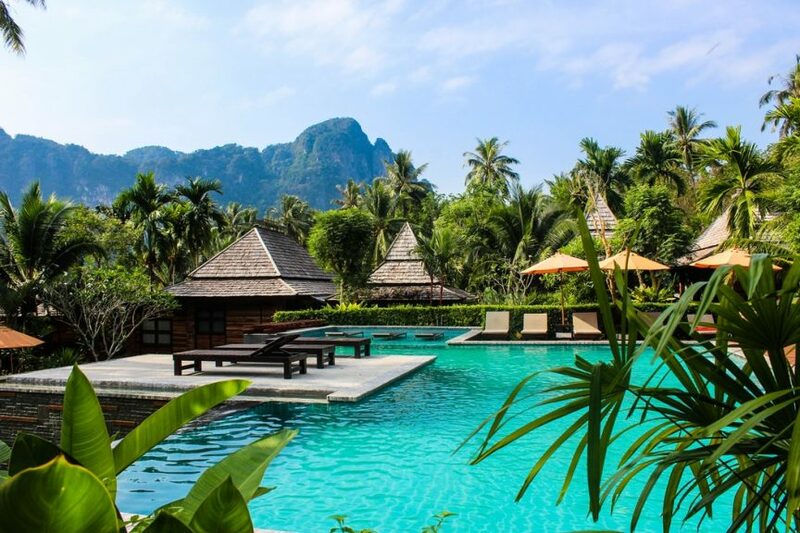 Malaysia’s Langkawi region is made up of 99 islands, all with spellbinding natural beauty (think misty mountains, winding rivers, golden-sand beaches and palm-dotted gardens). Unsurprisingly, there are plenty of venues here that are experienced in weddings and honeymoons – see you later, wedding-planning stress! It’s easy to see why they’re called the ‘Islands of Love’. With scenery romantic enough to inspire poetry, the Indian Ocean islands are truly sensational. 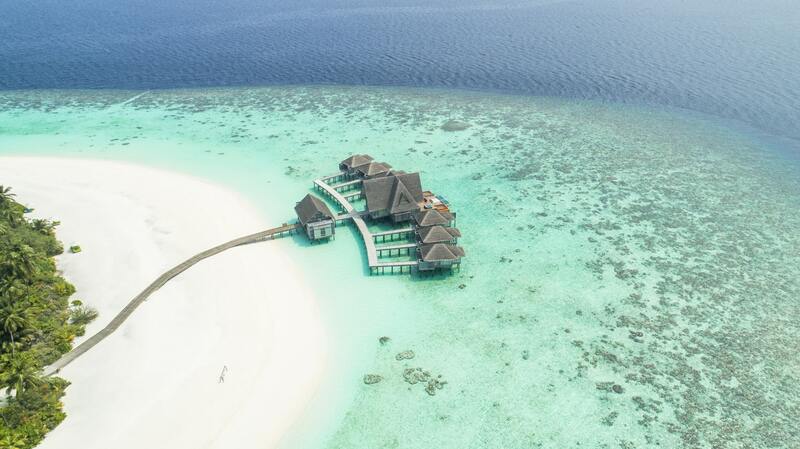 The Maldives have long been thought of as the ultimate tropical getaway, especially for honeymoons. We say, make it your ultimate tropical wedding locale too! There are literally a thousand islands here, with only about two-hundred-odd permanently populated. That means you can find a beach to stroll arm-in-arm, away from the rest of the world. Sigh. 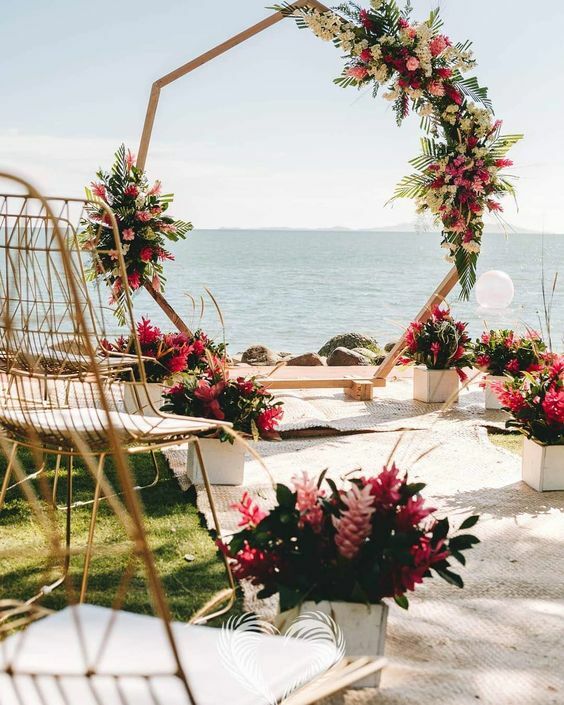 With the proper paperwork and a legal ceremony before leaving home, you can have the private tropical beach wedding and honeymoon of your fantasies. Mauritius is another extremely popular tropical destination that’s experienced in hosting destination weddings. You’ll find no shortage of wedding venues and packages, and despite its popularity, it still feels blissfully laid-back – #GoodVibesOnly. Volcanoes, Polynesian dancers, tall ocean waves and emerald mountains – the South Pacific islands have plenty to charm couples. Fiji, Tahiti and Hawaii are among the most popular choices for destination weddings, each promising an unforgettable celebration. The beauty of tying the knot in Fiji? With many couples choosing to marry here, many resorts offer their own beautiful wedding chapel – no need to worry about getting to and from the resort. Only a few hours’ flight from Australia, this captivating destination is fabulous for pretty much any type of celebration. Thinking of exchanging vows in an extravagant Fijian wedding? Want to keep things simple and say “I do” in a barefoot beach ceremony? Looking for something in-between? The world’s your oyster in Fiji! Another postcard-ready destination, Tahiti is made up of over one hundred islands and atolls, with hidden waterfalls and secret lagoons. Some islands are more private than others, and many resorts offer the unique experience of sleeping in an over-water bungalow, which will make your honeymoon unforgettable. Of course, Hawaii is another option with plenty of excitement and adventure. Embrace the island culture with Hula dancers, flower leis, and ukulele music – many local venues can bring it all to life for you. After your wedding, spend time together surfing, snorkelling, hiking or just laying on the beach. Life’s hard. There are so many tropical destinations to choose from – let the daydreaming begin!